A Valencia Park man allegedly confronted a neighbor and stabbed him in the head for unknown reasons Tuesday as the victim was working on his car in front of his home, authorities reported. 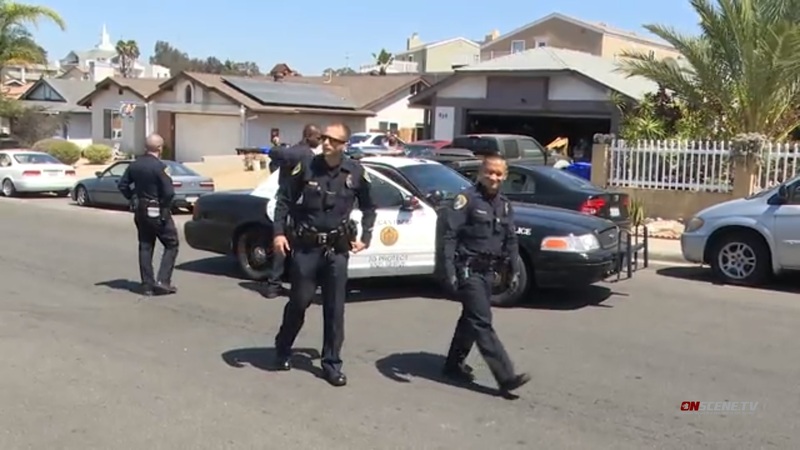 The assault in the 600 block of Bethany Street was reported shortly after 12:30 p.m., according to San Diego police. The assailant, whose name was not immediately available, fled the area on foot and remained at large in the late afternoon, Officer Sarah Foster said. Medics took the victim to a hospital for treatment of injuries that were not believed to be life-threatening. The motive for the assault was unclear.